Oh yes, it’s the most winnable of all our remaining games. Maybe a few more with the opportunity of a trip over to France before the mayhem begins. That's the spirit. Keep the luck going. Fantastic dedication. Tell him you'll be back later and he can buy you a few then. Decent compromise that. England are going to win anyway and they've already cocked it up for the Grand Slam so out of the two I'd choose Dover if I was you. Winning the toss today might be useful with 50 mph winds forecast throughout the game. At least it is forecast to be dry! I wish it was here. I must admit I'm fed up of the high winds and rain. Bring on some ruddy sun. Just passing Stansted Airport dry but very windy. That's the weather not me btw. Been to watch Town at Dover once. It was a trip from pub not far from Acky Vics bowling club cant remember name. We went Friday night on overnight ferry to France, it was just before Christmas. Coach was filled with booze, it struggled to get up the hill out of Dover port. 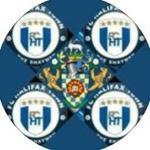 At match I had a go at Peter Wragg from behind dugout he said he was sick of Halifax fans and was resigning, he didn't. Jason Peake scored a cracking goal and if my memory serves me right we drew 1-1. Tiring but enjoyable outing saved me a fortune on Christmas booze. I'm sure someone will tell me what year it was. Glorious sunshine here Erik been sunbathing for about 1 hour before it get too hot. I have never made it to Dover ground, went once and going down the motorway someone decided to commit suicide and walked up into the traffic hit by the car in front then onto my car. Respect to all fans who make the long journey. Hope it's worth it! Isn't mayhem what they call "a normal day" in France ? On the right side of the country for it today. Storm Gazza's giving a reyt beating to our rivers and becks at home. Hope everyone's keeping safe just in case.